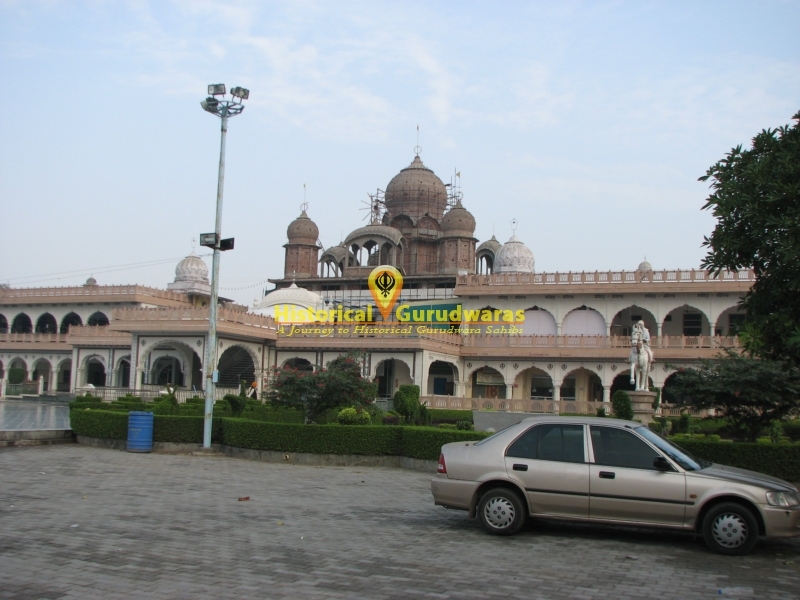 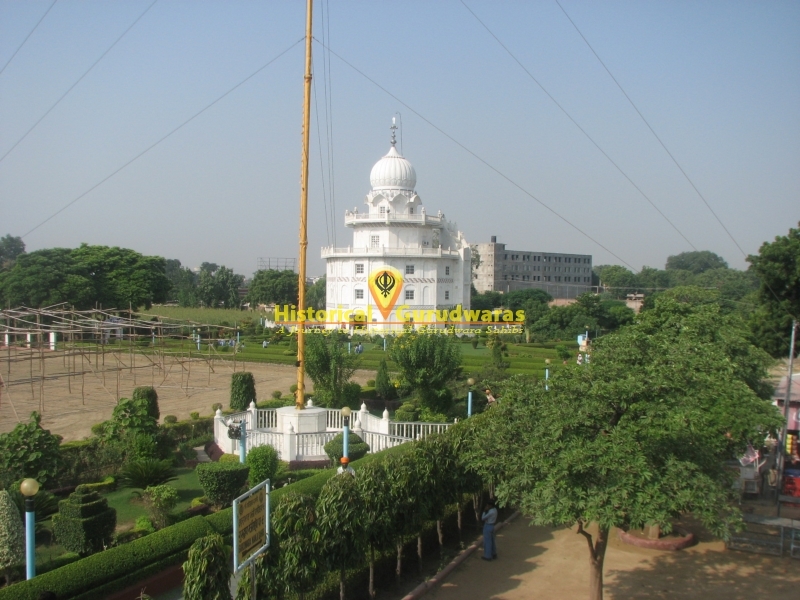 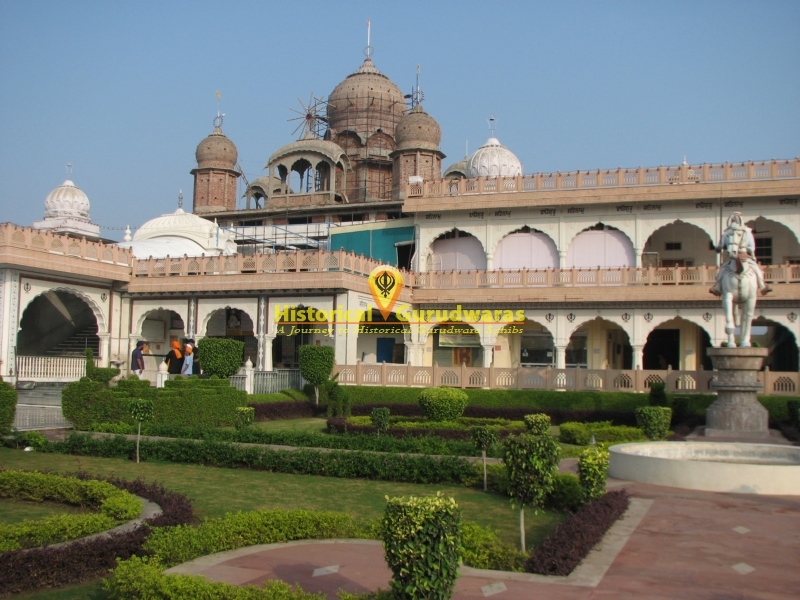 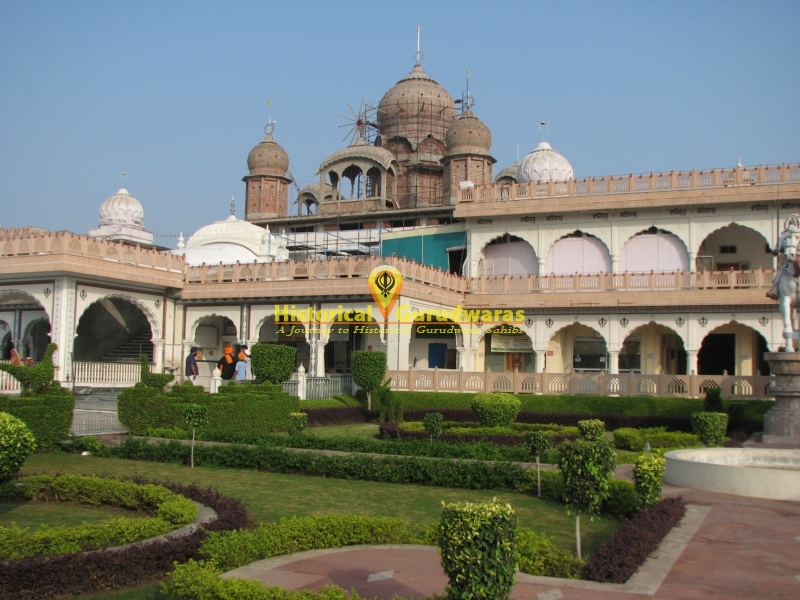 GURUDWARA SHRI GURU KA TAAL SAHIB is situated in the Distt City Agra, Uttar Pradesh. 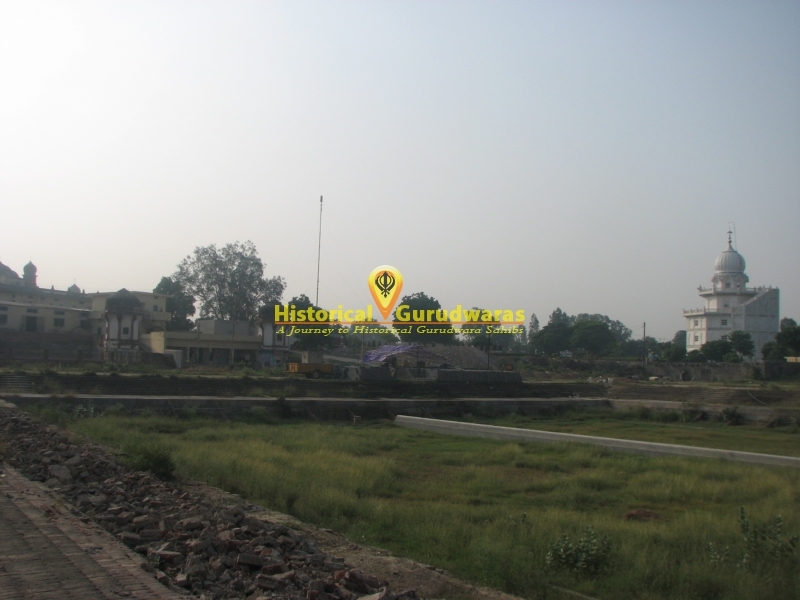 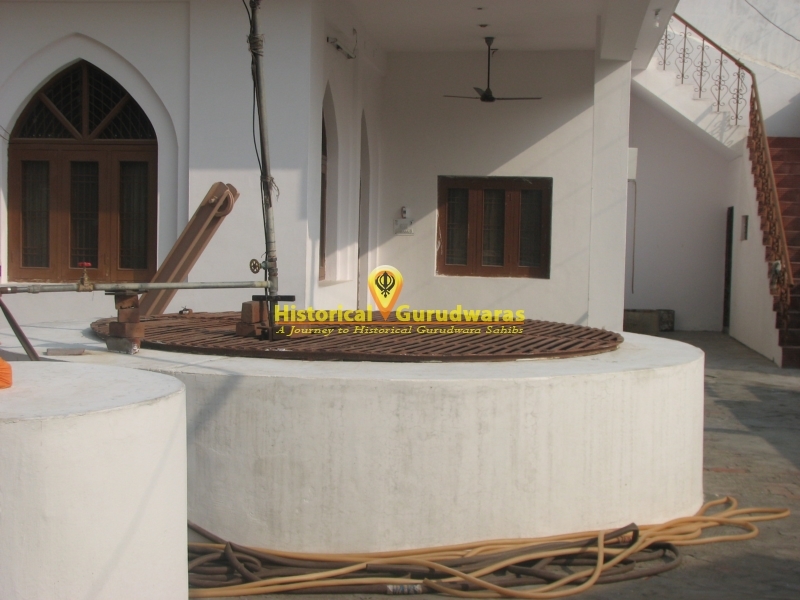 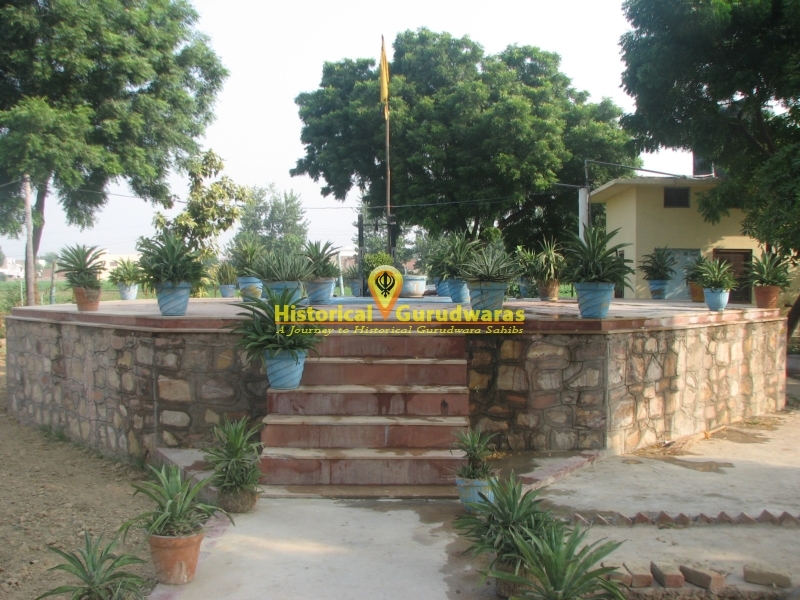 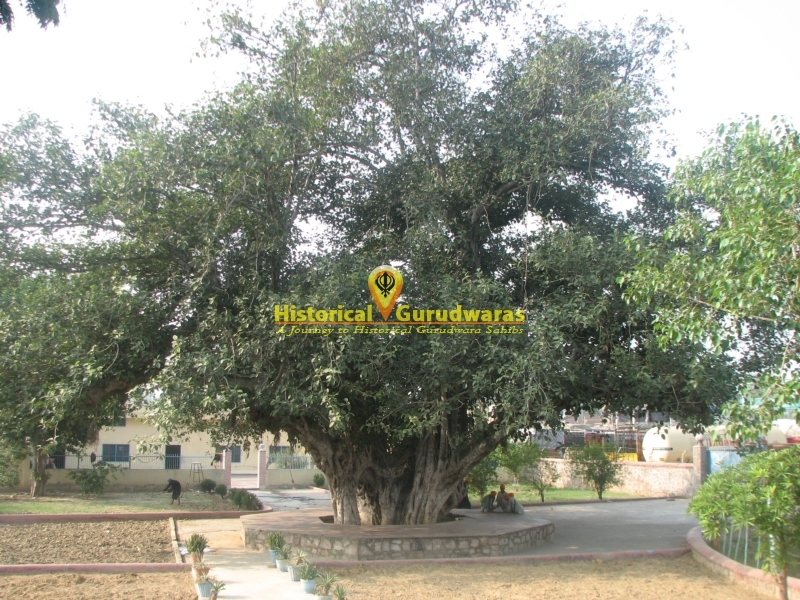 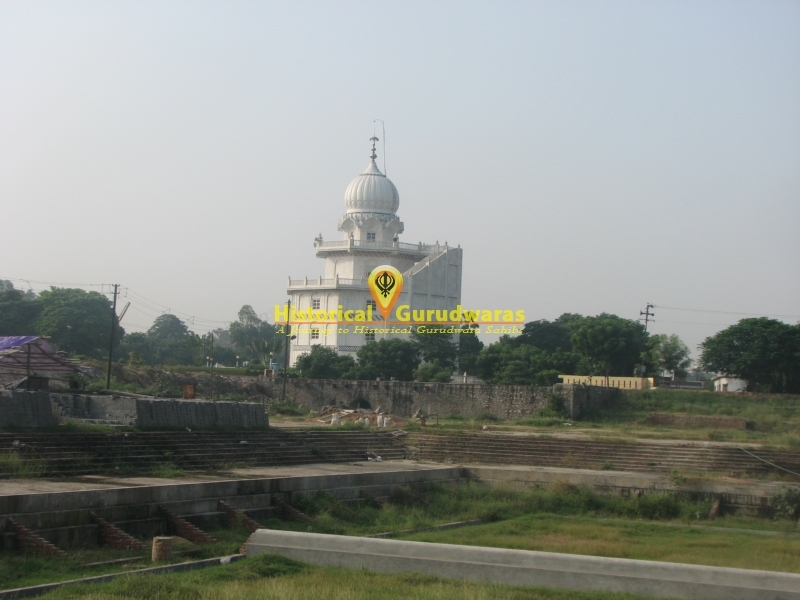 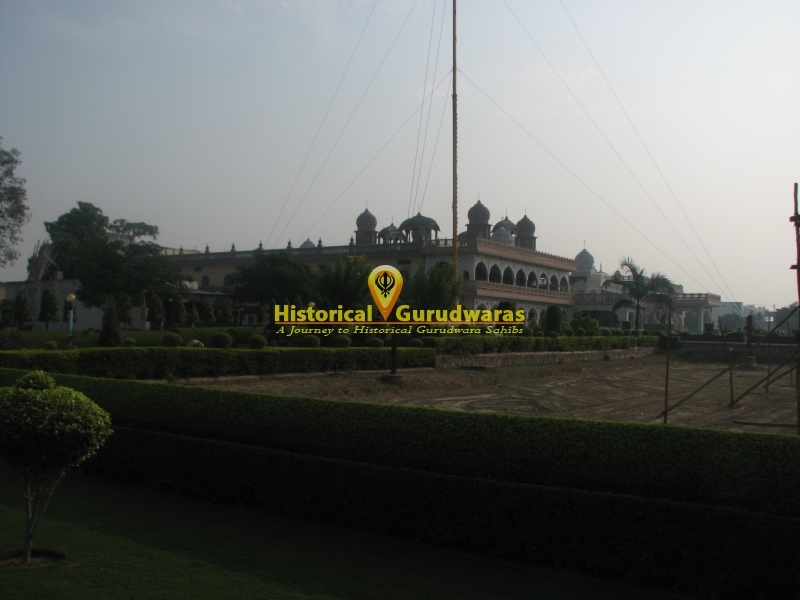 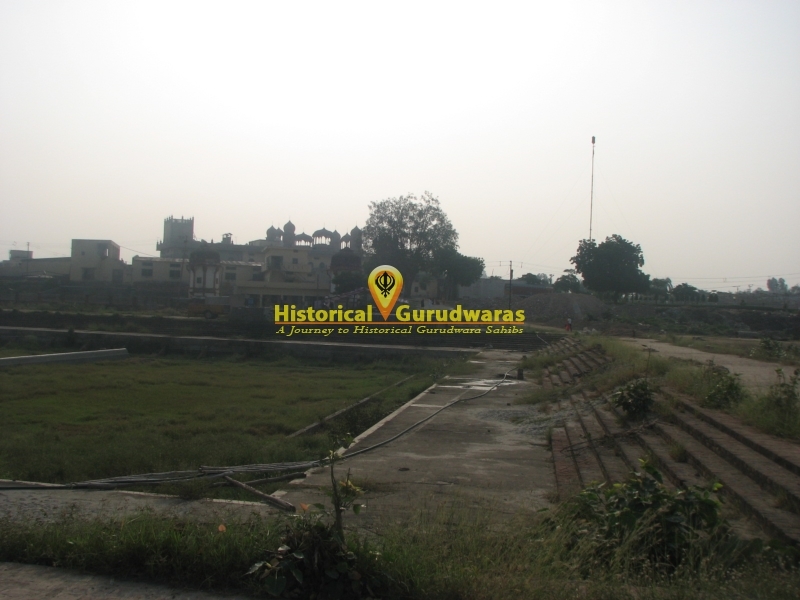 Situated on the National Highway No 2 it marks the holy place of SHRI GURU TEGBAHADUR SAHIB JI. 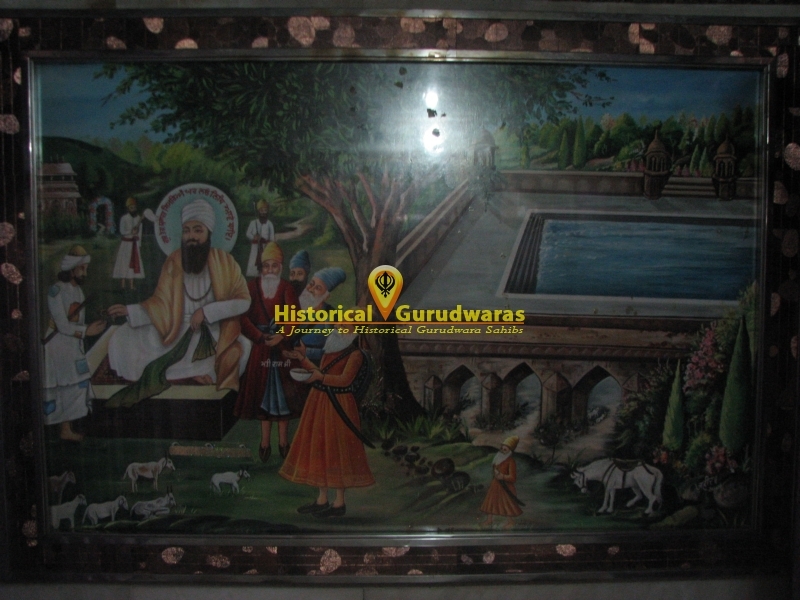 SHRI GURU TEGBHADUR SAHIB JI along with his followers Bhai Mati Das ji, Bhai Sati Das ji Bhai Dyala Ji, Bhai Gurditta Ji, Bhai Udo ji, and Bhai Jaita ji started journey from SHRI ANANDPUR SAHIB. 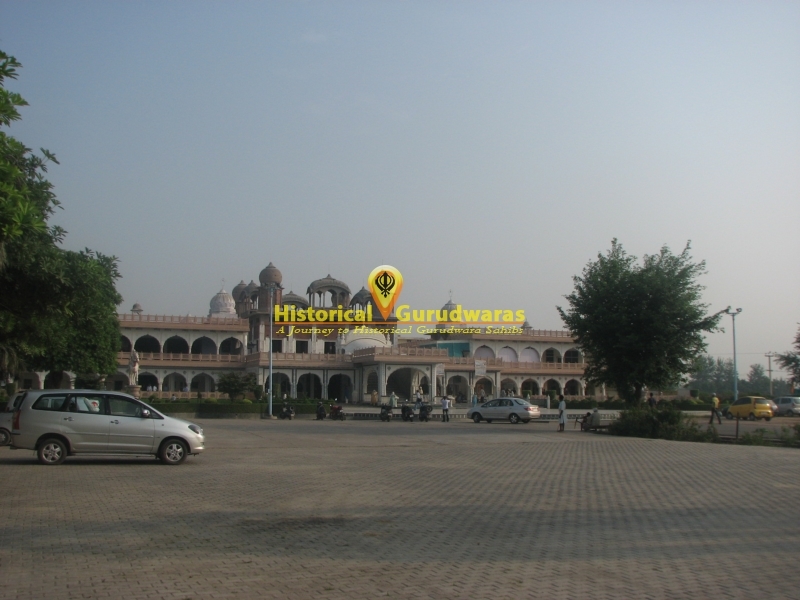 Stopping at Saifabad (Patiala), Cheeka, Jind, Rohtak, Janipur, GURU SAHIB reached here at Agra. 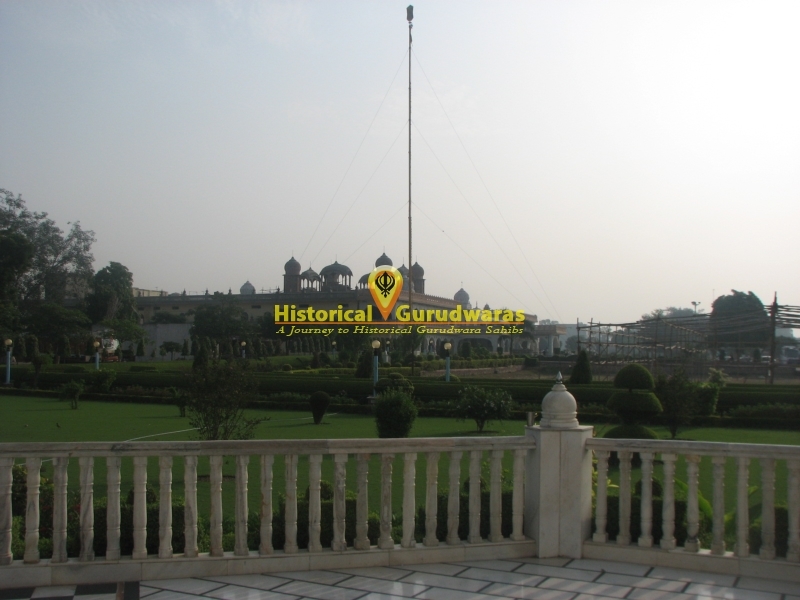 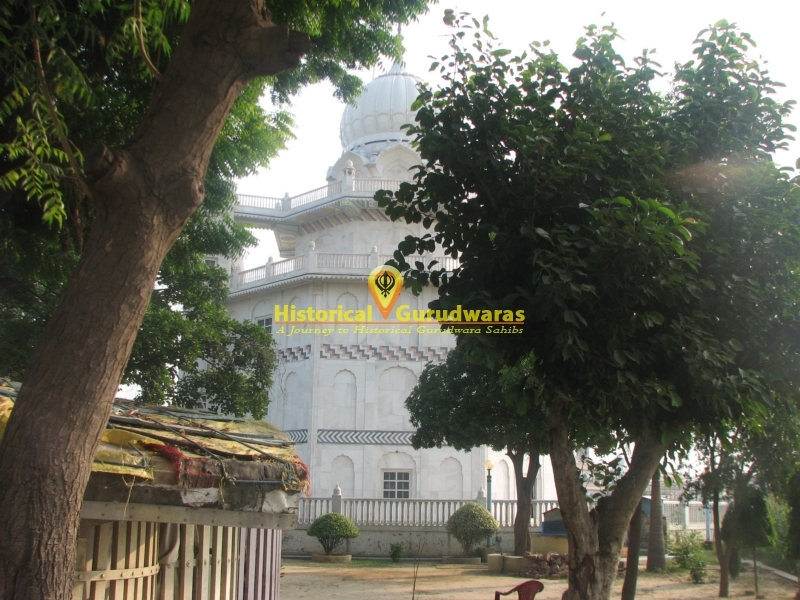 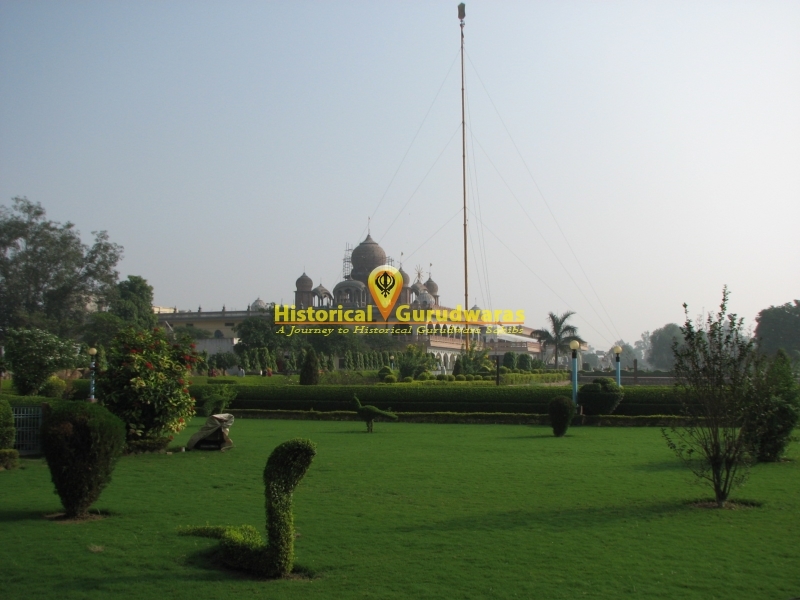 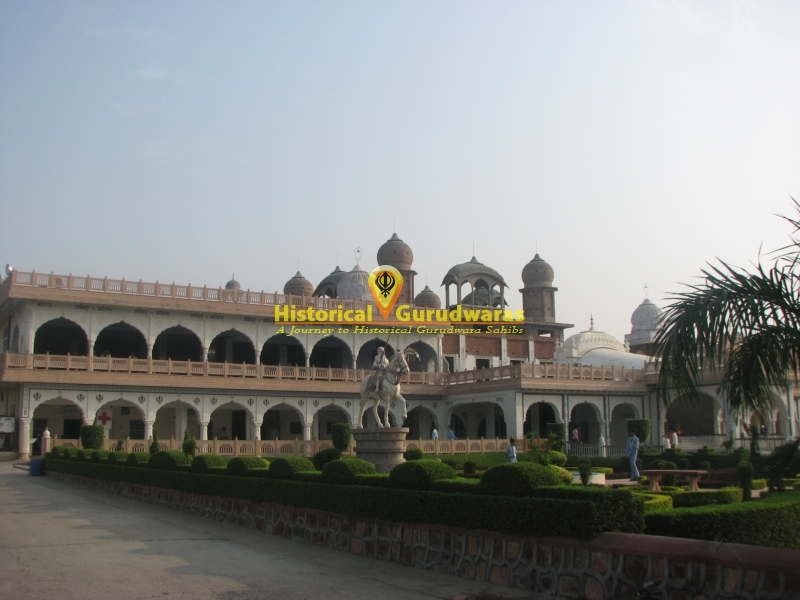 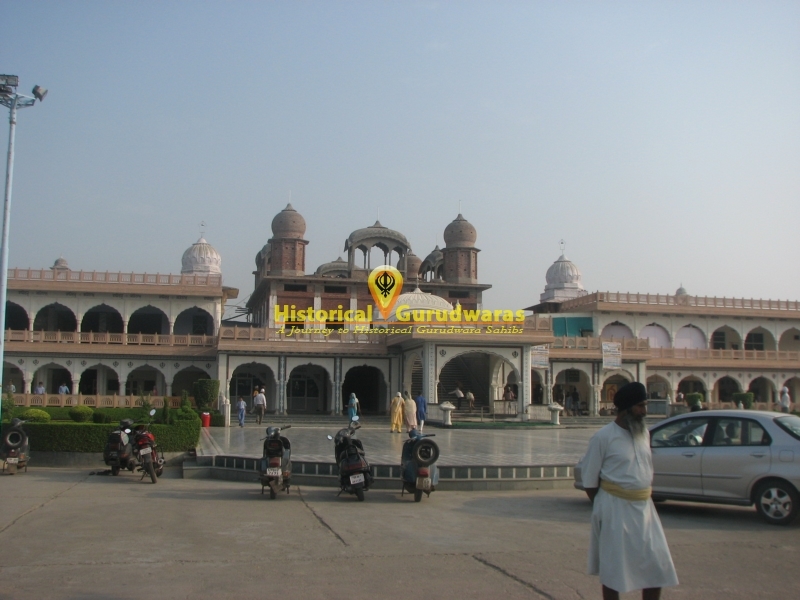 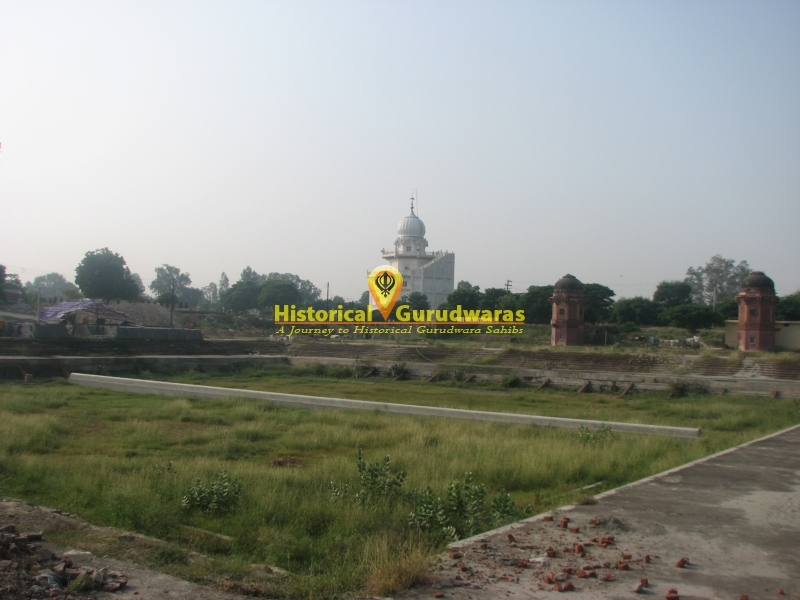 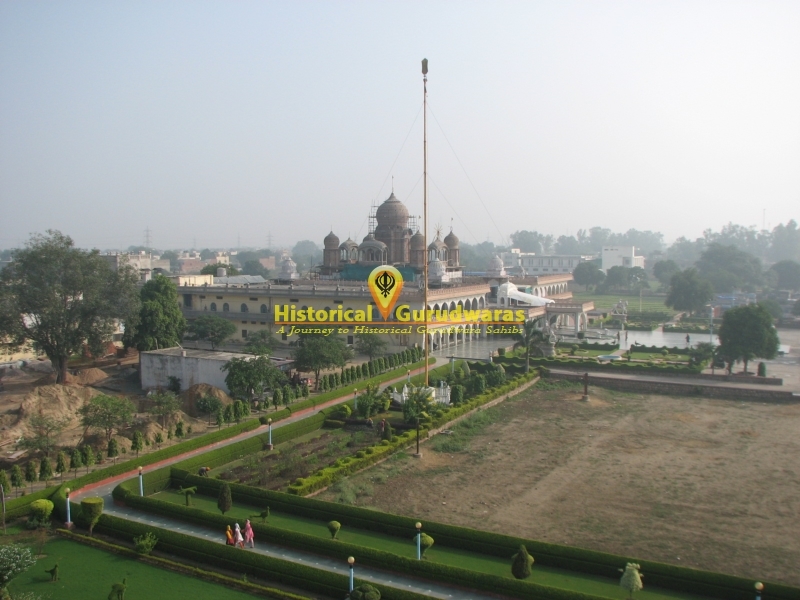 GURU SAHIB stoped outside Agra city at this place (GURUDWARA SHRI MANJI SAHIB is situated at that place. 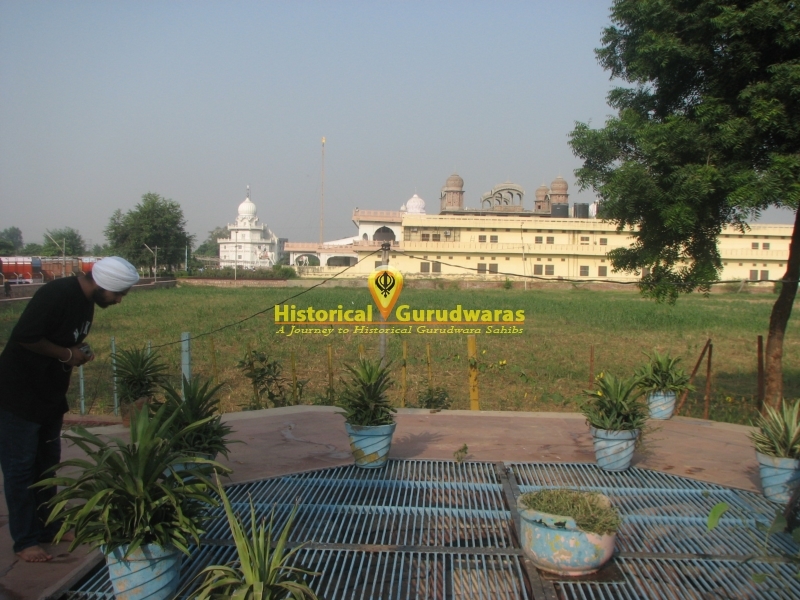 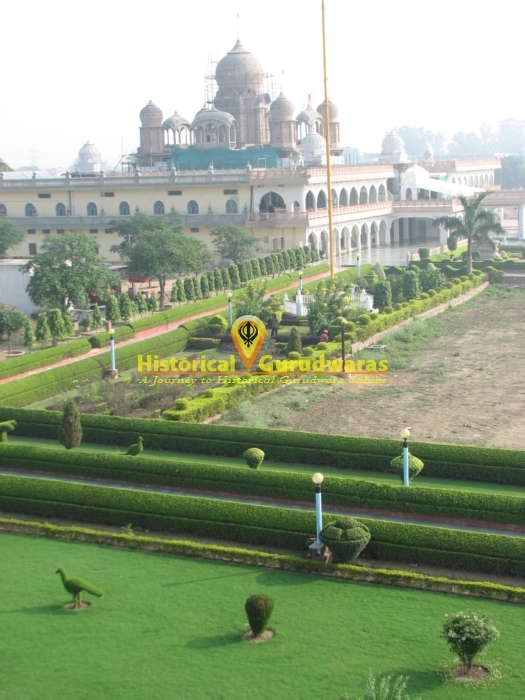 GURUDWARA SHRI MANJI SAHIB is situated on the left side of GURUDWARA SHRI GURU KA TAAL SAHIB in same campus). 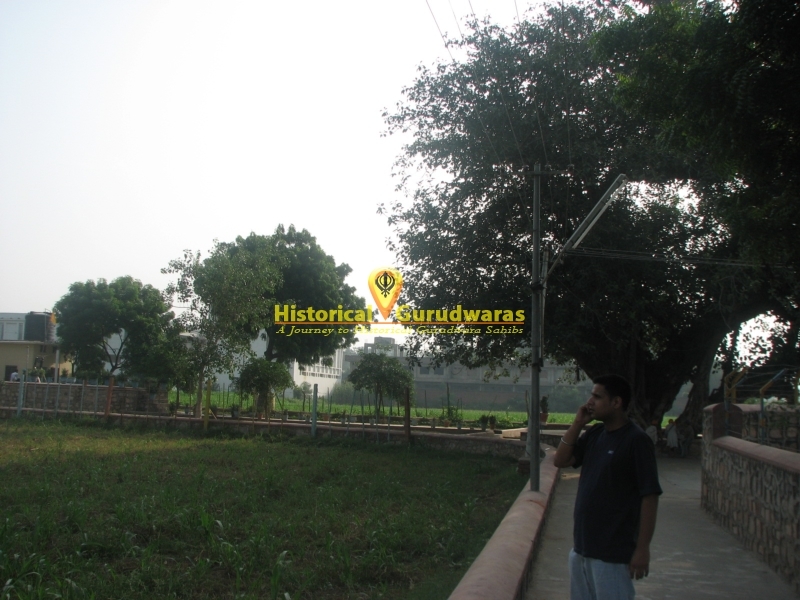 Hasan Alli was grazing goats there. 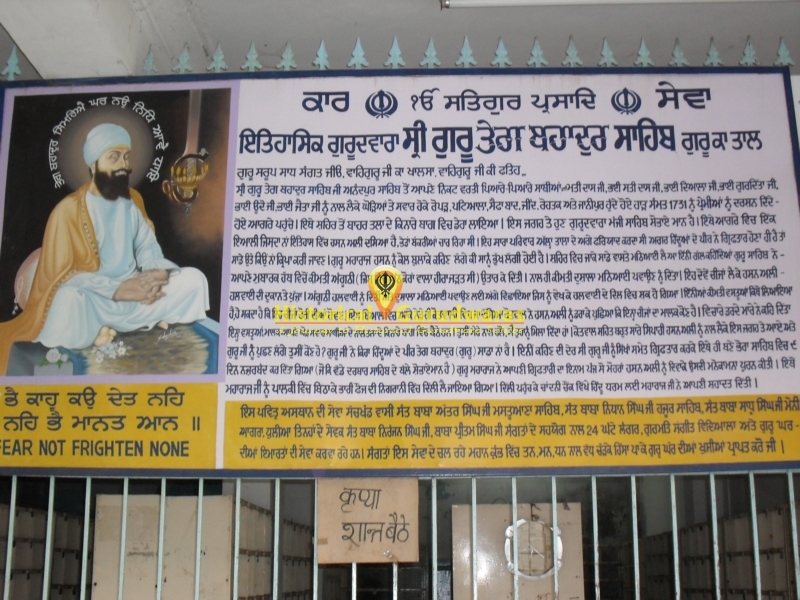 He always used to pray that if GURU SAHIB was going to give arrest to save Hindus then he(GURU SAHIB) can also bless us by giving arrest through us. 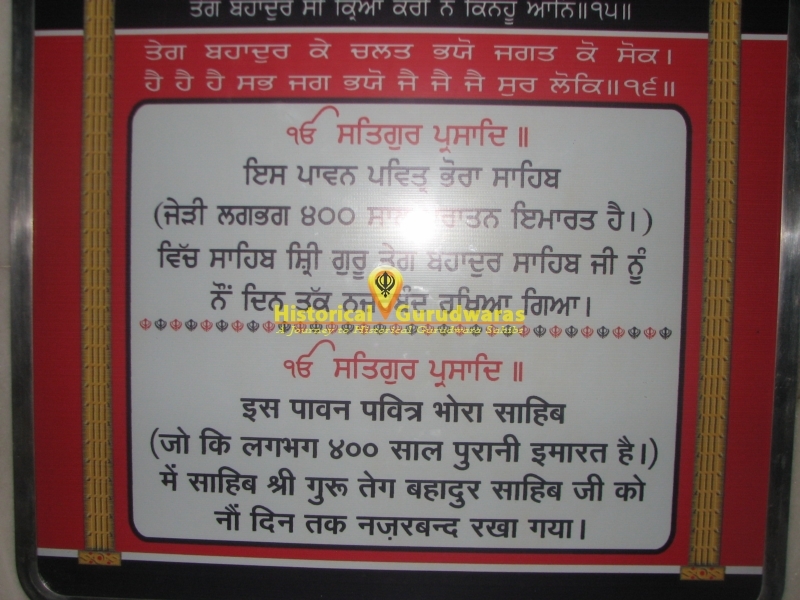 As by that time Aurangzeb had announced that who so ever will give information about GURU SAHIB will get Rs 500. 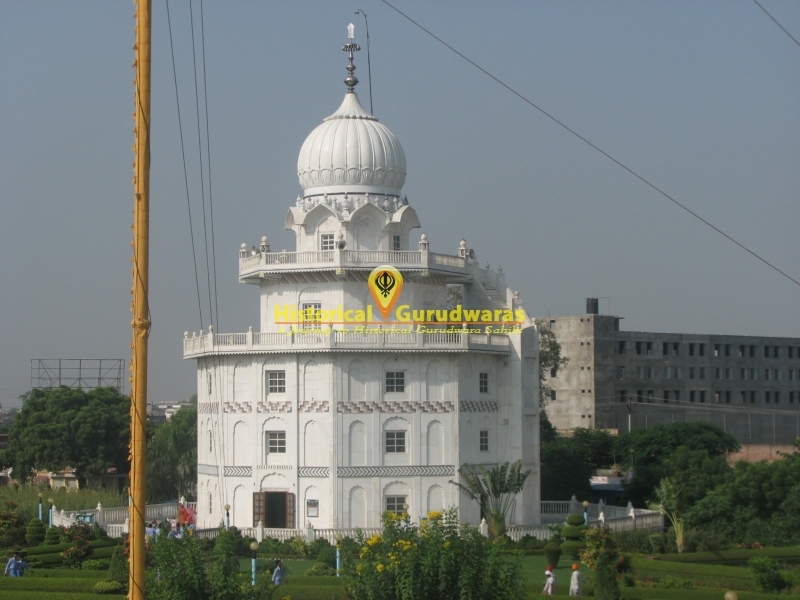 So Hasan Ali always though that if GURU SAHIB will give arrest through us then he will get that money and it will improve there family financial condition. 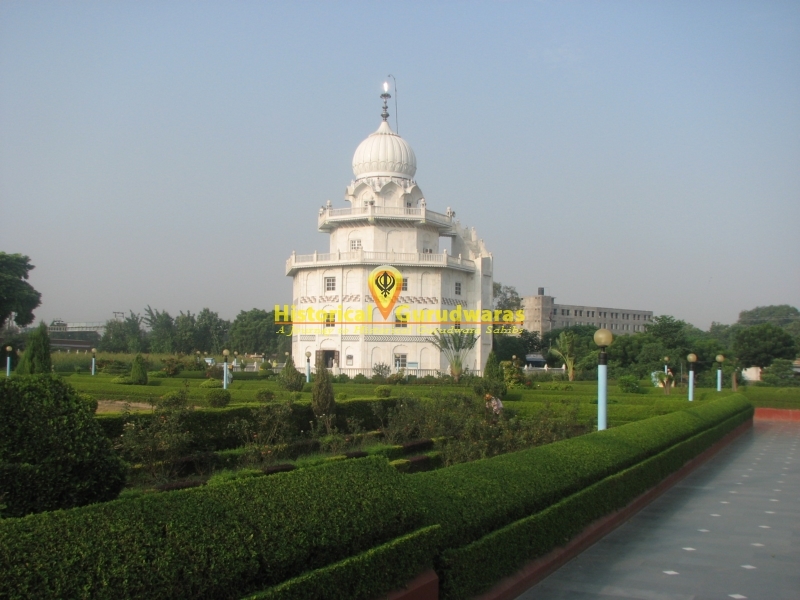 And also marriage of his daughter will take place. 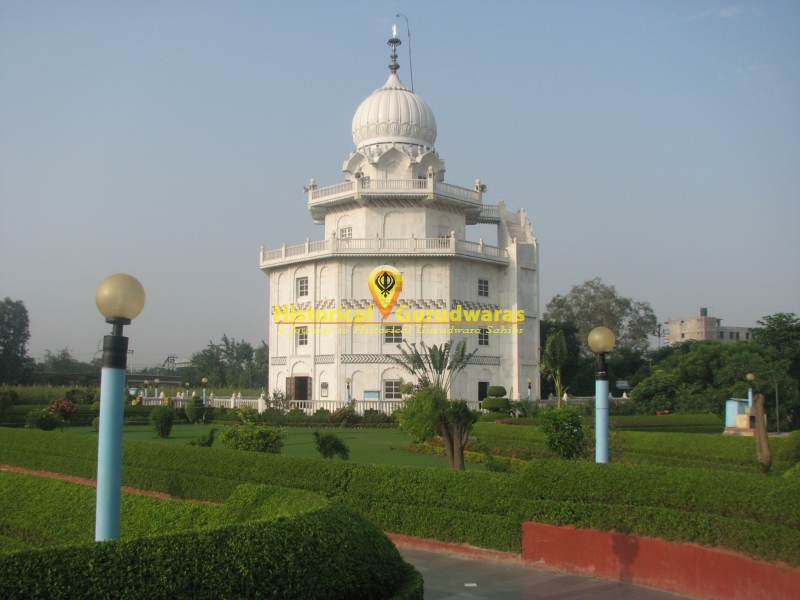 Understanding his wish and further to fulfill GURU SAHIB gave him a precious ring to sell in market and bring some sweets and food from that money. 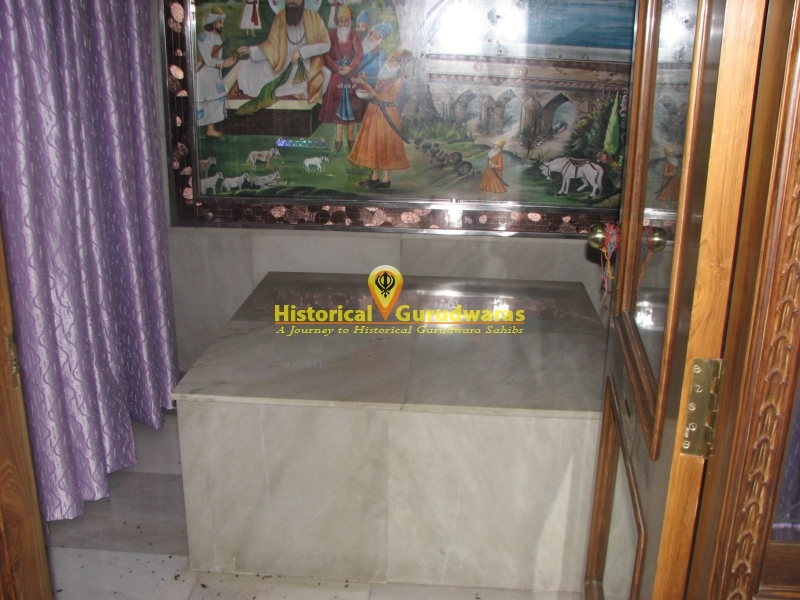 GURU SAHIB also gave him a Shawl to carry sweets and food. 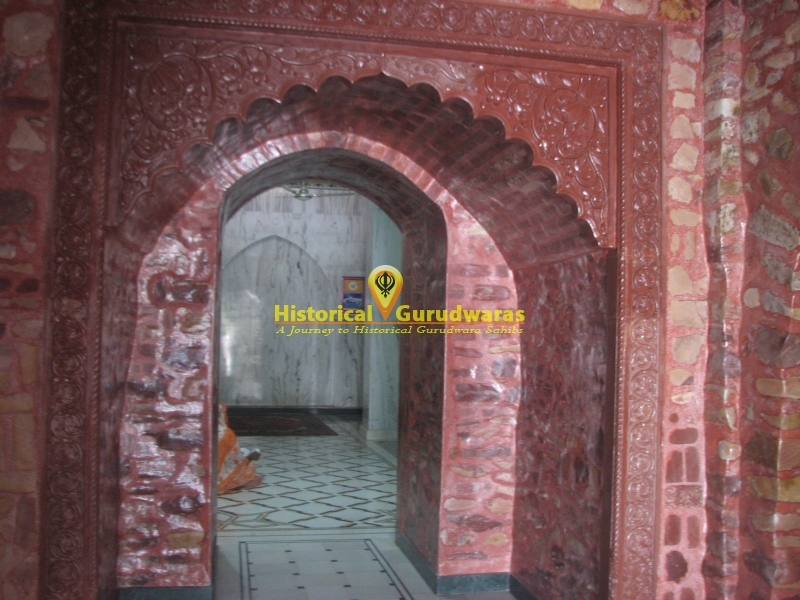 Hasan Ali went to sweets shop and showed the ring to the shopkeeper, Shopkeeper got suspicious that how he had such a precious ring and shawl. 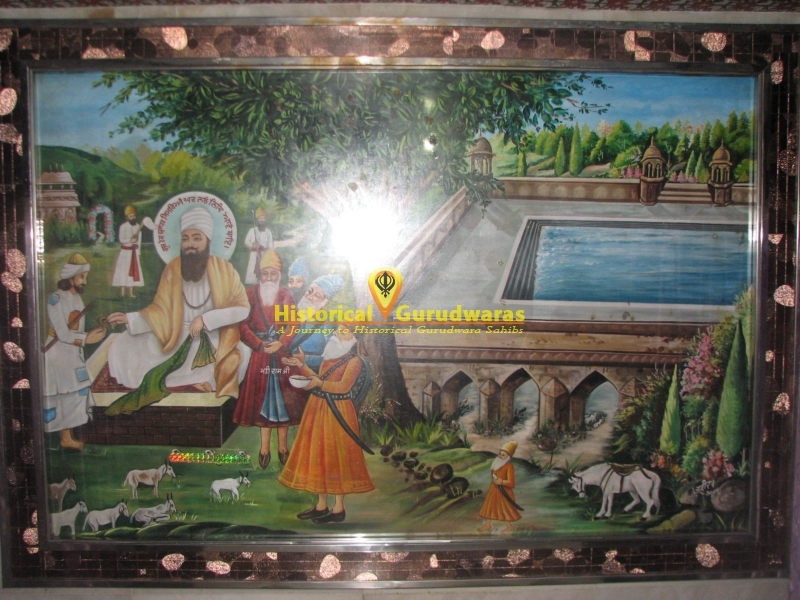 Shopkeeper reported this thing in Kotwali (Police Station). 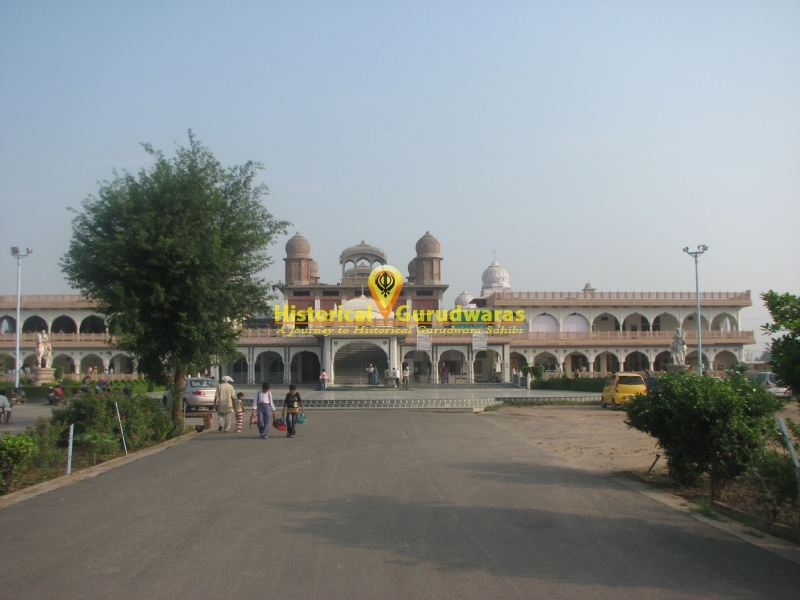 Kotwal arrested Hasan Ali and asked about those things. 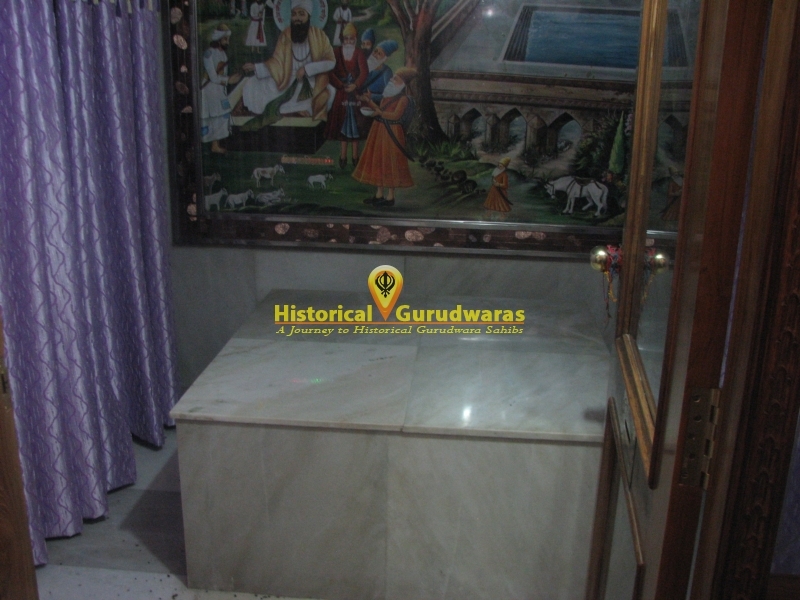 Frightened Hasan Ali told the whole story to Kotwal. 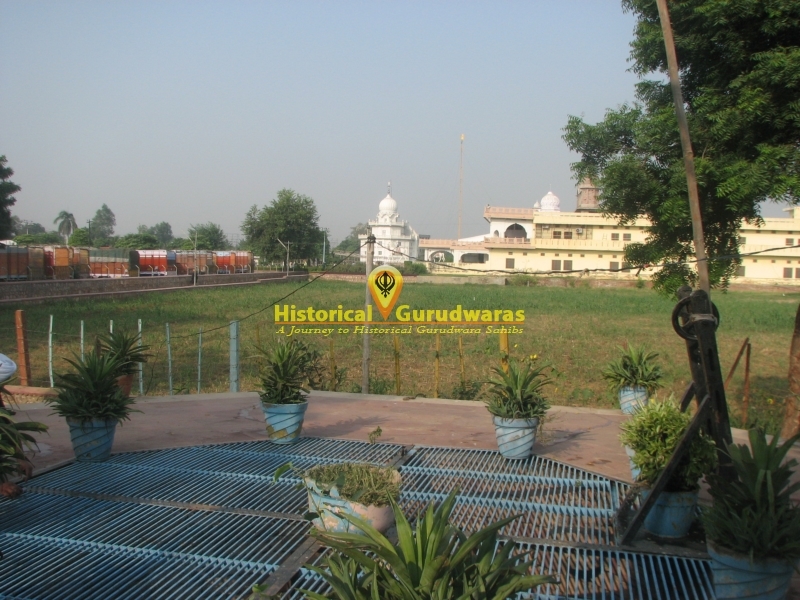 When Kotwal came here (GURUDWARA SHRI MANJI SAHIB) he met GURU SAHIB and asked that who was he. 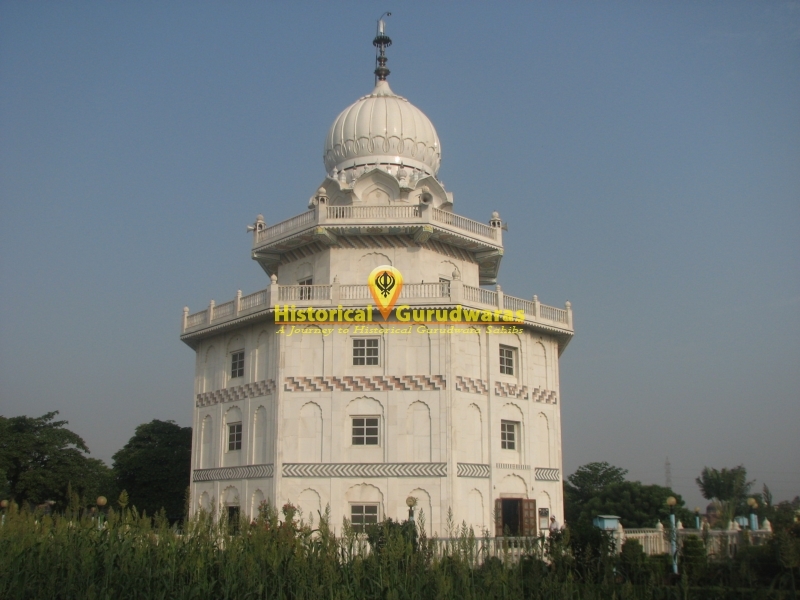 GURU SAHIB told him that He is TegBahadur. 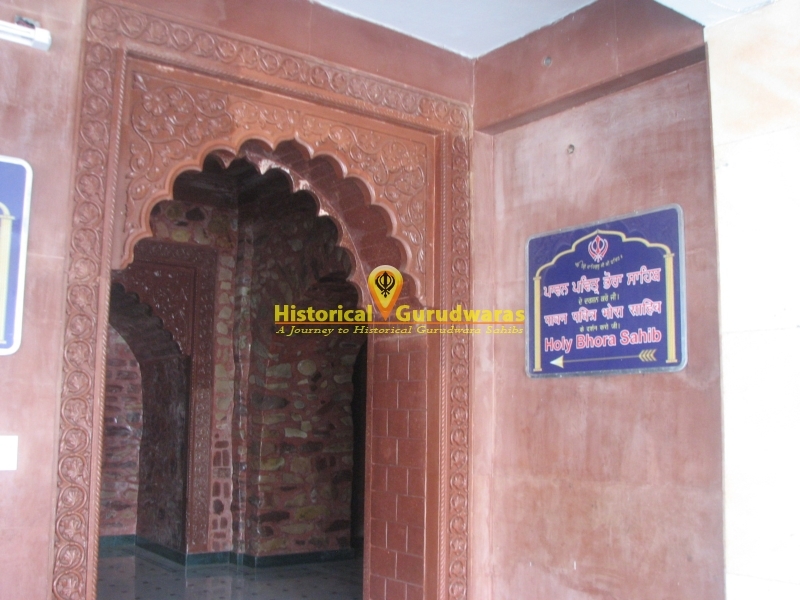 Kotwal Immediately arrested GURU SAHIB and jailed him in BHORA SAHIB situated there. 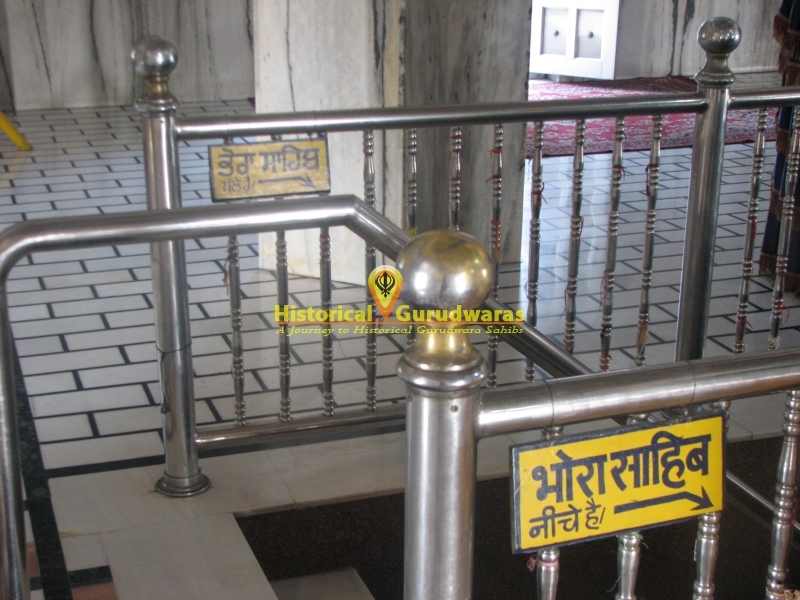 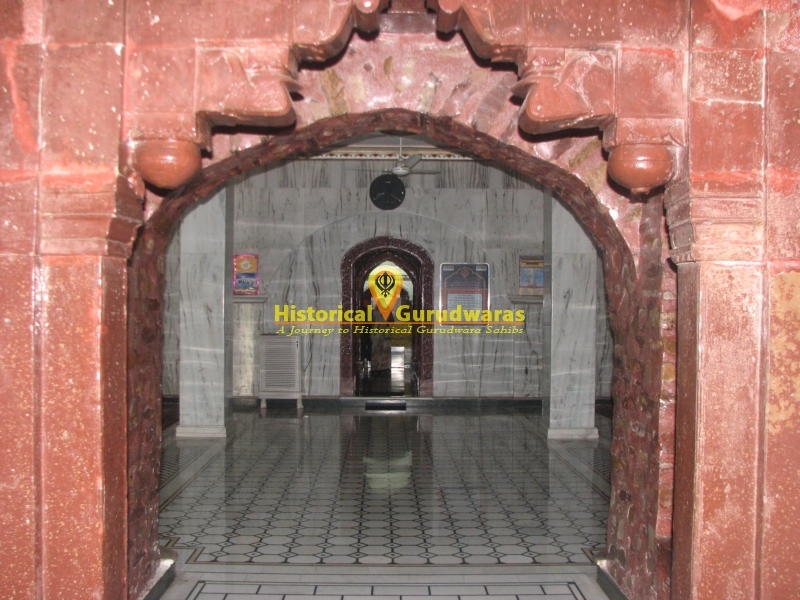 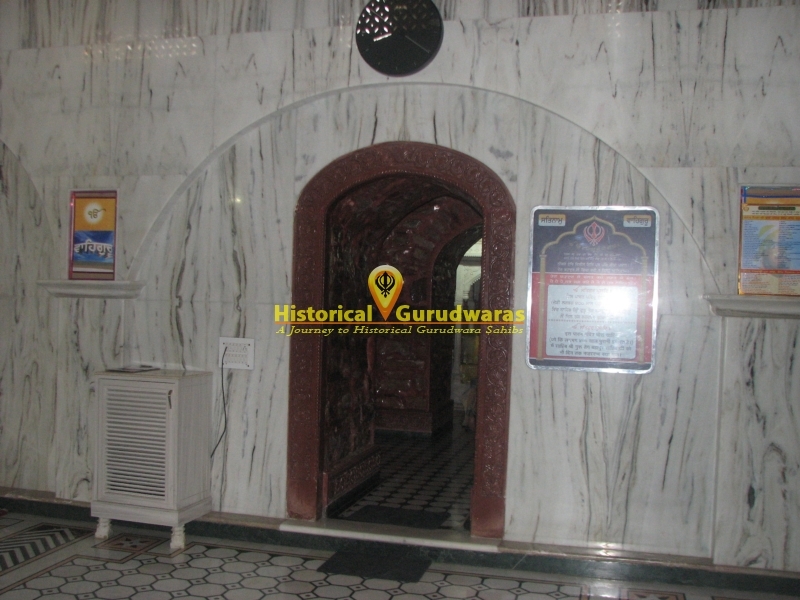 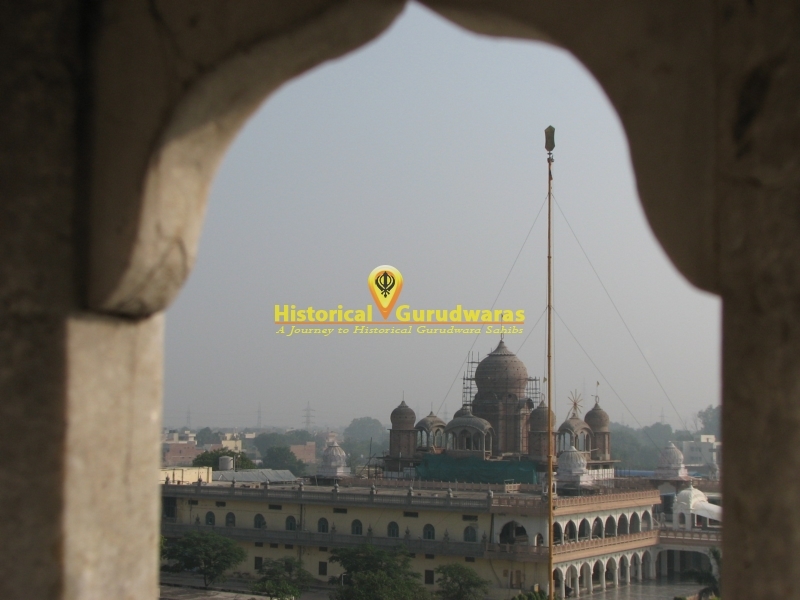 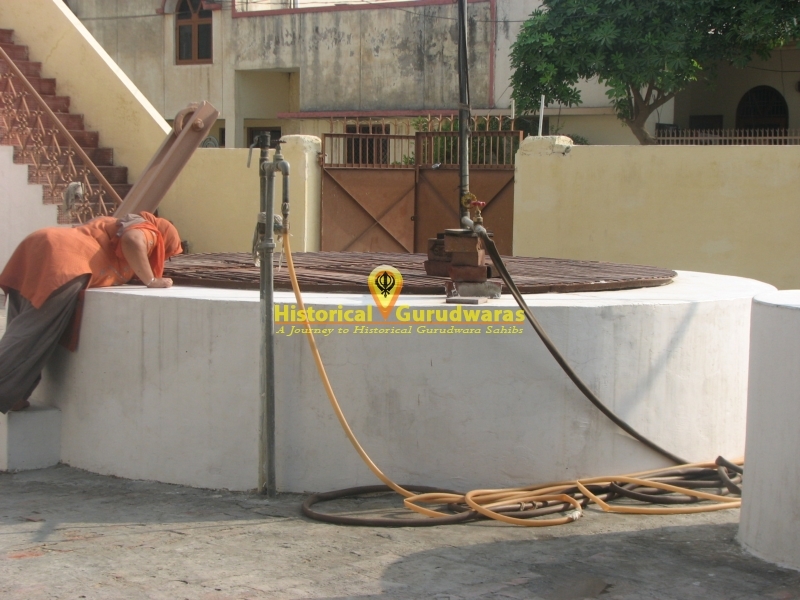 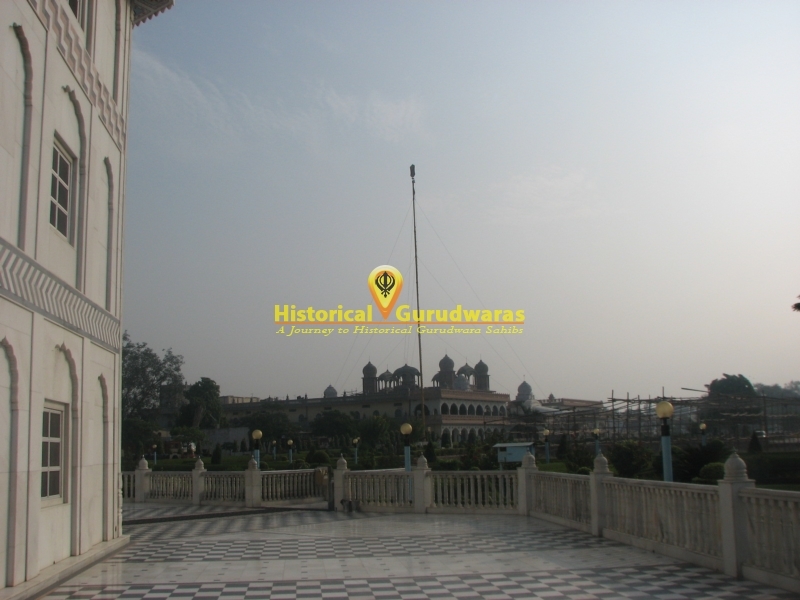 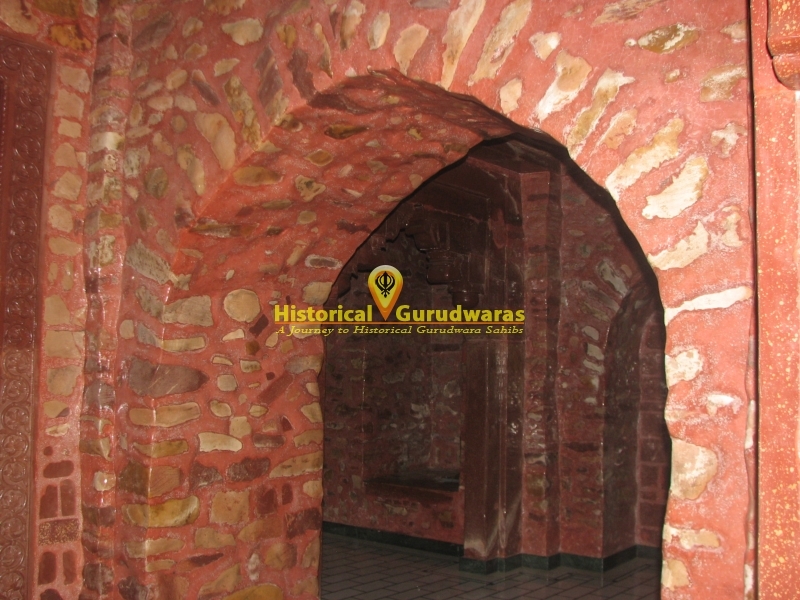 (This Place BHORA SAHIB is situated under the Darbar Sahib in GURUDWARA SHRI GURU KA TAAL SAHIB). 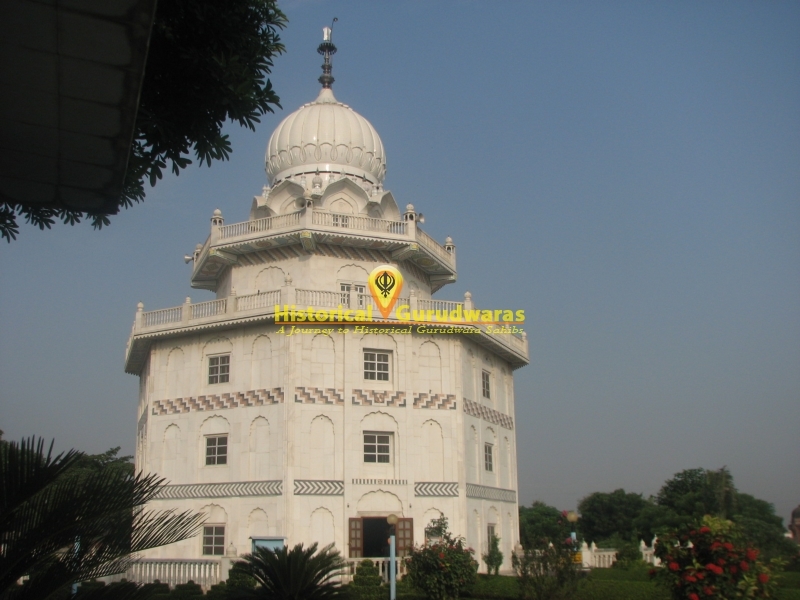 GURU SAHIB stayed there for nine days under arrest. 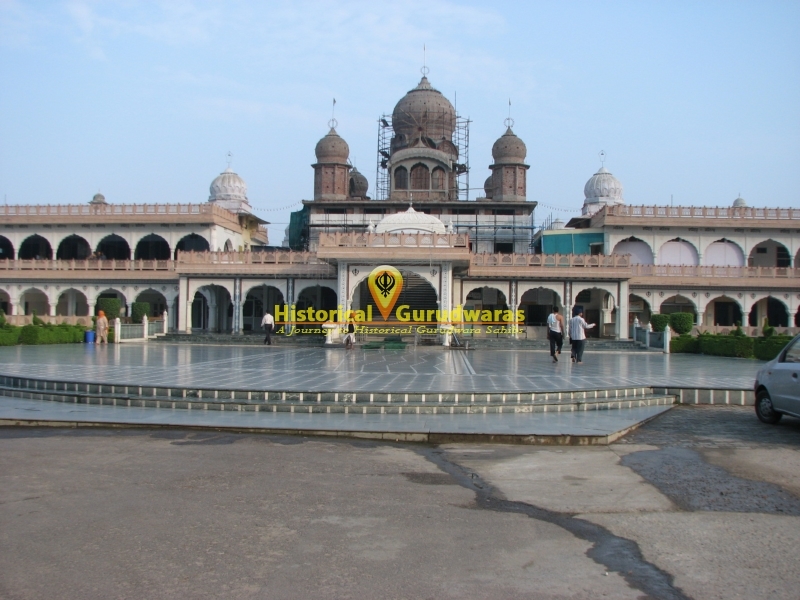 Hasan Ali got the Rs 500 as prize. 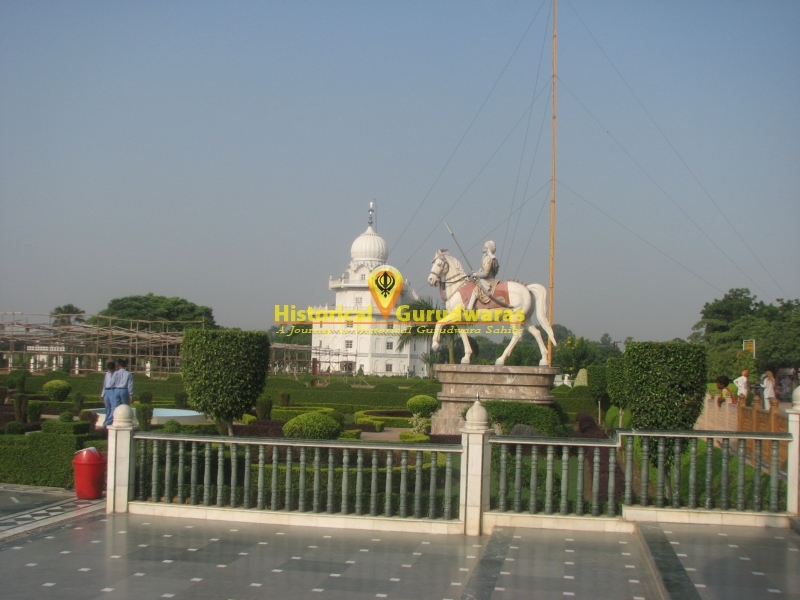 After that GURU SAHIB was taken to Delhi under high security.